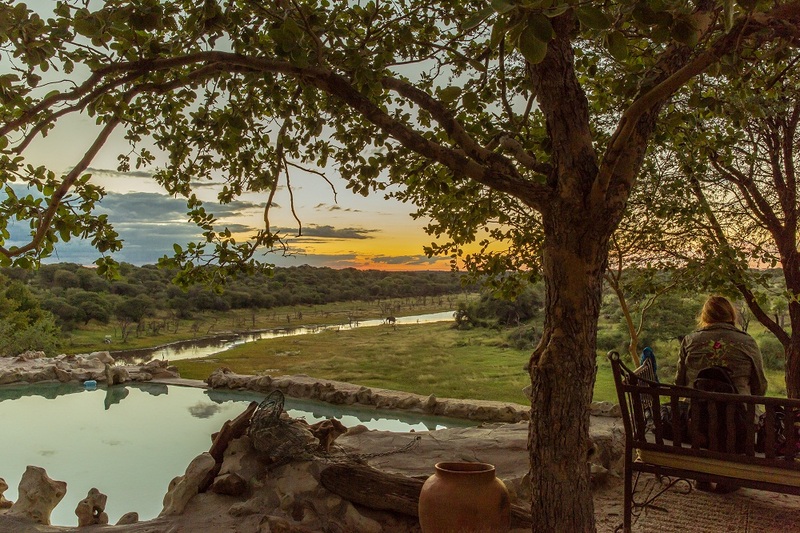 Resting on top of ancient and awe inspiring cliffs, with the serene Boteti River flowing in front of your tent and zebra, kudu and elephant interacting beyond, Meno a Kwena provides a haven for those after a more authentic safari experience. The bushman walk offered here is also a highlight of many visits for guests of all ages. 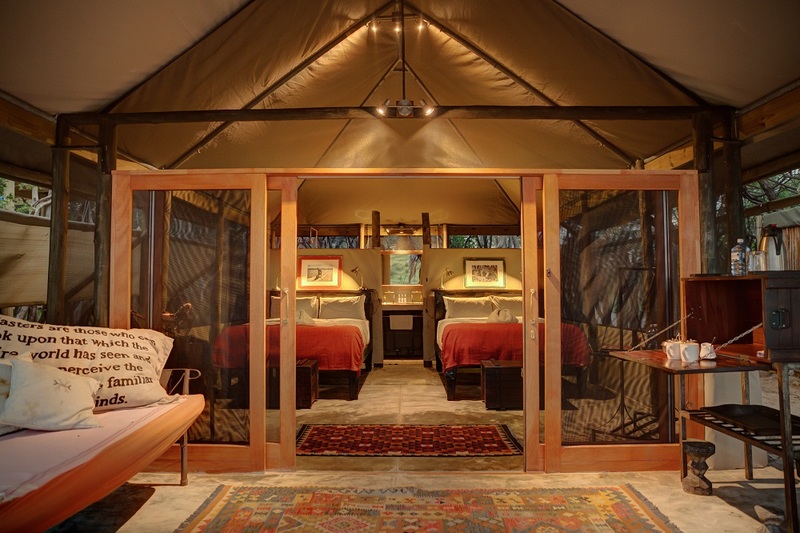 Under new ownership and with the entire camp freshly renovated, this fully inclusive camp now offers nine fully serviced, en suite Meru tents that hark to halcyon days on safari. 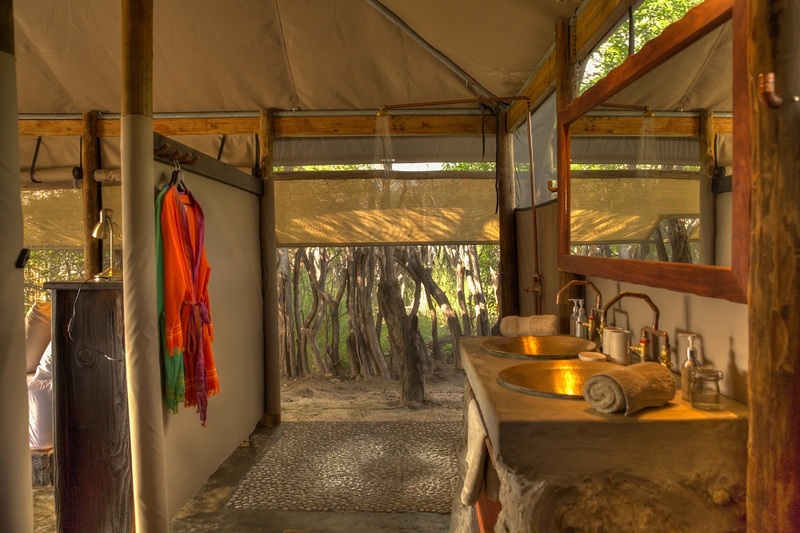 A traditional fenced boma partly envelops each of the tents, whilst outside, a bucket shower with a view complete the picture. Away from the rooms there are multiple spots for guests to enjoy alone or spend time with their fellow travellers, be it in the floating photographic hide, in the relaxed lounge area overlooking the river, or at the bar. For those keen to brush up on their knowledge before the next drive there’s a library and dining area, for a drop of sun meanwhile the pool area is undeniably tempting. Sitting on the western boundary of Makgadikgadi Pans National Park, the camp is ideally situated for excursions into the Okavango Delta, Makgadikgadi and Nxai Pans as well as the Central Kalahari Game Reserve. Meno a Kwena is the area’s only camp accessible by road, with a two hour transfer to Maun. Transfers are complimentary both to and from Maun airport.